Mattel announced the release of 15 new Ken dolls with different body types, hairstyles, skin tones, and fashion styles on June 20, 2017. He's been overshadowed by Barbie for decades, but now Ken is finally getting some attention. Mattel is introducing 15 new looks for the male doll, giving him new skin tones, body shapes and hair styles. The makeover is part of the toy company's plan to make its dolls more diverse and appeal to today's kids. Barbie received a similar overhaul more than a year ago. 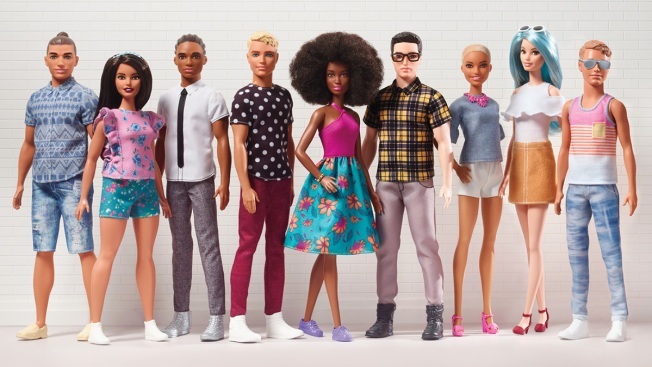 Ken will be sold in three body shapes: "slim," ''broad" and "original." He'll have modern hairdos, such as cornrows and man buns, and come in seven different skin tones. He'll also be sporting new fashions: think skinny ties and plaid shirts. Mattel Inc., based in El Segundo, California, says some of the new Ken dolls will be available for sale immediately.